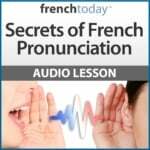 Many beginner and intermediate French students are looking for French movies easy enough to understand. It’s quite a challenge, so I asked my students and ex-students to help me put together a list of French films they found easier to understand, and these were the most popular results. Most of these movies are all available on Netflix, and you can definitely find extracts on YouTube. You should also read my post on “how to improve your French with French movies“. And if you have suggestions on other EASY-TO-UNDERSTAND French movies, please add them for the benefit of all in a comment below. Thank you in advance. And if movies are just too difficult, my French audio books and novels are just the right level for students of French. This comedy / drama features the amazing French actor Fabrice Luchini, who has a beautiful diction. The two other main characters are an English couple who moved to France: although they speak French during the movie, they speak slower, so they are very easy to understand! My second easy French movie is an animated French movie, easy enough for a beginner student ofFrench, like any of the movies from Michel Ocelot. His movies are wonderful for French learners since the characters speak very slowly and enunciate a lot. Many of the movies take place in Africa, so it’s a good introduction to French African accent, granted that some characters have a stronger accent than others (Kirikou, the main character has almost no accent). 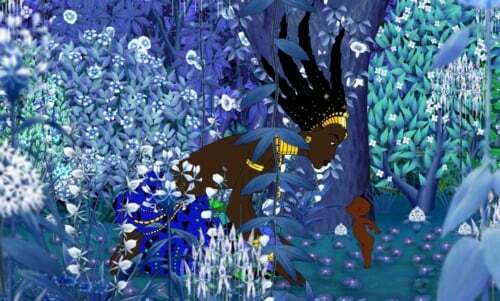 Although a movie made for kids, this French film is poetic and the drawings are really magical. I know many adults who are very fond of it. This charming French movie by François Dupeyron is about the unlikely friendship between a young Jewish boy and a Turkish shop owner (played by Omar Sharif). Omar Sharif speaks really slowly, there is not a lot of dialogue, and it is mostly between the 2 main characters, so I find this movie particularly easy to understand. 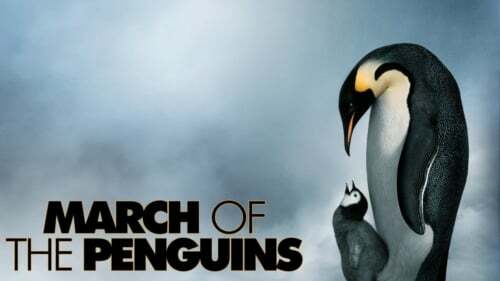 A documentary by Luc Jacquet about Emperor Penguins and their very difficult lives. It’s obviously a voice over. French nature documentaries are easier to understand since only one person talks: so the sound quality is usually optimal, and the speaker has been chosen for his beautiful voice. The vocabulary can be a challenge however, but the images are beautiful, and if you are lucky, there might even be a subtitle option. Another movie like this one is Le Peuple Migrateur (2001). Set in 1977 (but filmed in 2010), this comedy portrays the emancipation of a trophy wife (Catherine Deneuve) who spends most of her days catering to her husband (Fabrice Luchini) but ends up taking his job and running the factory. It’s fun, and even if the actors speak very fast, they take their turn speaking, which makes it a bit easier to understand. This comedy / drama is a favorite of mine. Really charming and well written, this easy French movie is fun and engaging. I found it easier to understand because, although all the actors are French, the pace is somewhat slower and they each take their turn to speak. This French movie is a comedy with Oscar-winning French actor Jean Dujardin. A spoof on a James Bond like character. A huge success in France, fun and well played: the French can be challenging at times, but the story is definitely easy to follow, which makes the movie suitable for intermediate students. This French movie is easier because it’s mostly a dialogue between two fantastic French actors: Lambert Wilson and Fabrice Luchini. 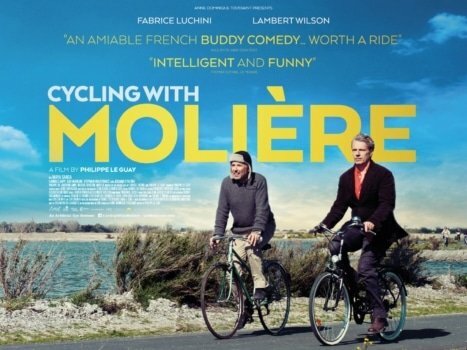 There are many dialogues from Molière, the film is shot on L’ile de Ré and is simply splendid. This is one of the saddest movie I know. I cry every time! This drama by Philippe Claudel features a brilliant Kristin Scott Thomas. Although English, she studied at the bilingual school, her French is amazing, and she is very easy to understand. One of my favorite movies of all time. All these French movies are featuring a fragile and naive character: François Pignon (ou François Perrin). The most famous of Francis Weber’s French comedies are Le Jouet, La Chèvre, Les Compères, Le Grand Blond avec Une chaussure noire, Le Dîner de cons, Le Placard… For more info go to http://fr.wikipedia.org/wiki/Francis_Veber. Dark comedies, the movies are often both hilarious and a bit sad. Although the actors speak very fast, it’s mostly dialogues between two actors, and a lot of visual puns, so they are a bit on the easier side.